We love hearing from explorers. Check below to see if your question is one people ask often and, if not, send us an email. What is the mission of GlobalXplorer°? The GlobalXplorer° Project seeks to identify and quantify looting and encroachment to sites of archaeological and historical importance. Additionally, it seeks to discover sites that are unknown to mordern archaeologists to protect these from the same issues. It remains important to form strategic relationships with the governments, archaeologists, and citizens in the participating countries. This allows invisible and forgotten stories to become visible once again. What are some common features I can expect to see while using the platform? 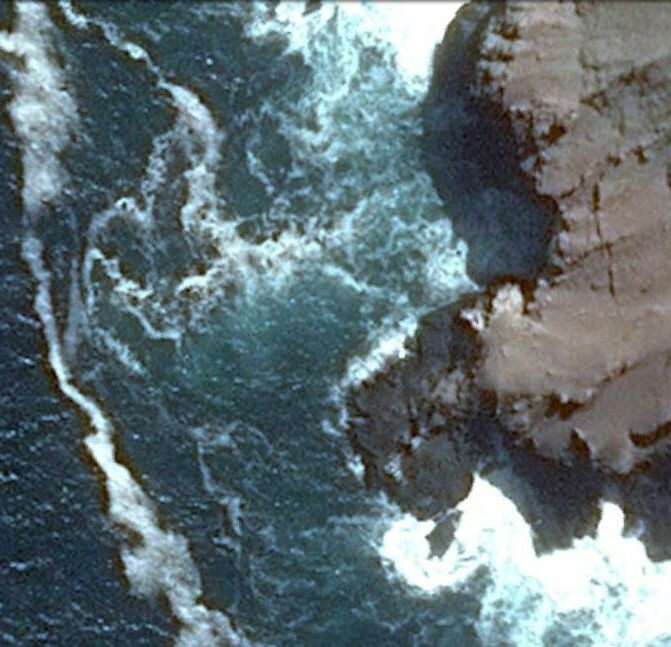 In this image you can see many of the commonly occurring features you will encounter in your search. 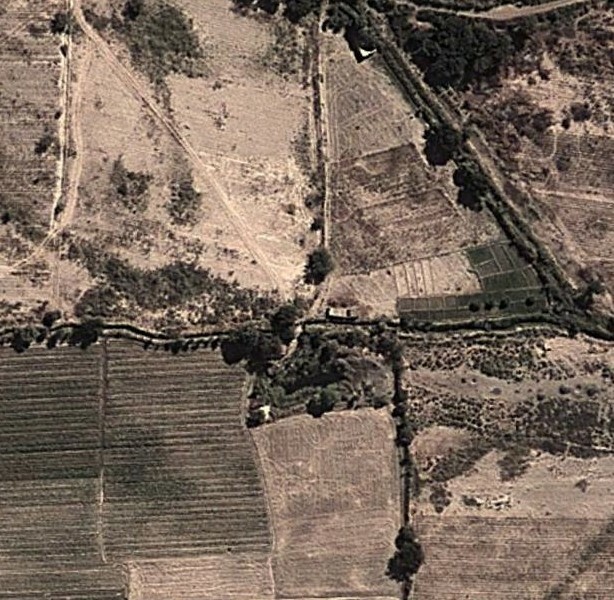 There are a number of fields with parallel rows of crops, large trees along the edges of those crops, roads and paths running between those fields, as well as a modern structure directly in the center of the image. 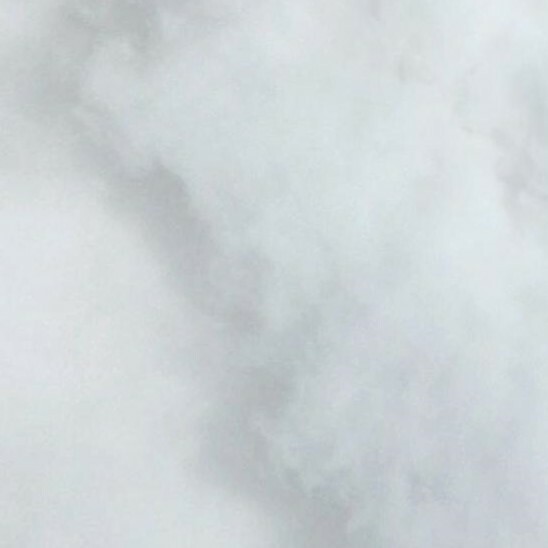 I'm seeing some images with white clouds that obscure the ground. What should I vote? Cloud cover is a common concern when looking at satellite imagery in certain parts of the world due to climate and terrain. Occassionally, this cloud cover can completely obstruct the views from a satellite. If the images look white or like photos of clouds, mark this image as negative. Why am I seeing images of water (lakes or the ocean) and what should I vote? Many countries have long coastlines and the lands along the coast are not without archaeological sites. In order to make sure that these sites were viewed as well, we needed to offer imagery as close to the ocean as possible. Some tiles containing only ocean were pulled into the system as well. If you see a tile that looks dark or covered with water, be sure to mark these tiles as negative. What should I do if the tile is partially or entirely black? Tiles that are on the edge of our area of interest may appear partially or entirely blank. If the image is partially black, vote on what you can see inside the white polygon. If you see a tile that is completely black, please mark it as negative. I’m marking a lot of images with a negative (no) response. Is that helpful? As you start to explore our dataset of millions of tiles for signs of looting and encroachment, you may start to feel like most of your responses are negative. While this may be disheartening, remember, negative responses are just as valuable to our mission. Think of it as if you're helping us target in on the affected areas by removing those that aren't. It's also important to remember that we prefer to find fewer signs of looting and encroachment because it means less site destruction. Why is the area outside of the white polygon grayed out? When voting we ask users to focus on the area inside the 100x100 meter polygon so that we can know exactly where a noted feature exists in the real world. However, because archaeological remains weren't formed to fit within our grid system, we have provided a bit of context around that tile so that they may feel more certain regarding their decision. What is the consensus score? The consensus scores provide users with feedback on the quality of their contributions in each level of GlobalXplorer (looting, encroachment, and discovery). All new users are assigned a default consensus score of 50%, meaning they haven’t contributed poorly and negatively affected their score, but they also haven’t contributed positively to raise their score, either. Consensus scores are calculated based on whether people who’ve reviewed the same tiles have agreed with each other. For example, if ten people review the same image tile and agree with each other, their scores will likely increase. However, if only nine people agree, then their scores will likely increase while the one person’s score who voted against the “consensus” will likely decrease slightly. The only caveat is if the nine people who agreed had scores of 5% and the one lone voter had a user consensus score of 100%, then the results would be reversed. It’s important to remember that our brains often outperform our own expectations –meaning we’re quick to learn patterns and identify them correctly in new settings, even if we don’t feel confident about it at first. Luckily with GlobalXplorer, you’re not alone. There’s a whole global community of experts and novices who are helping to review the millions of individual image tiles. Together we will build consensus about what is, or isn’t, in each tile and help provide each other with feedback about the quality of our contributions. Generally, a consensus score over 75% means you’re rocking it, while a score of less than 50% means it’s a good idea to revisit the tutorial video and example images. I am looking for X. (X = a long-lost Viking site, a Roman site in the desert, or any other specific ancient site.) Can GlobalXplorer° help me find it? 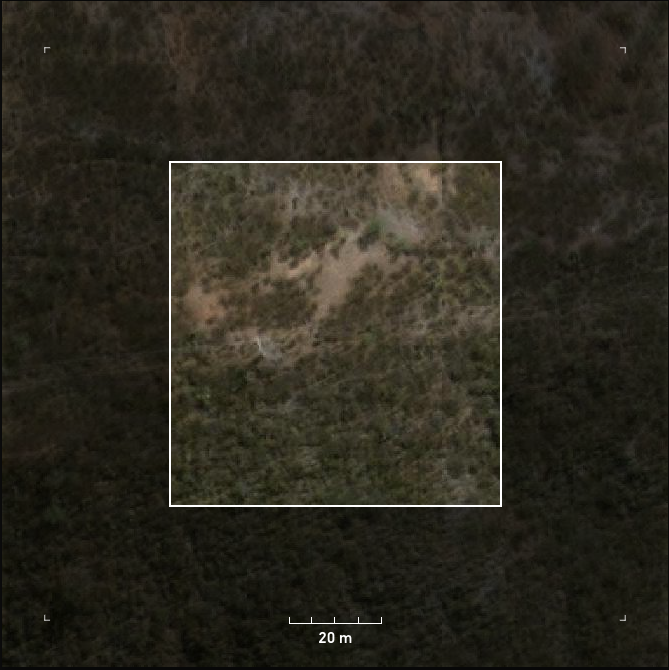 Due to the nature of archaeology and cultural heritage protection, we cannot search for archaeological sites for private individuals, nor can we comment on finds from Google Earth. If you are a business interested in a land survey or mapping, please check out SpectralGlobe.com. 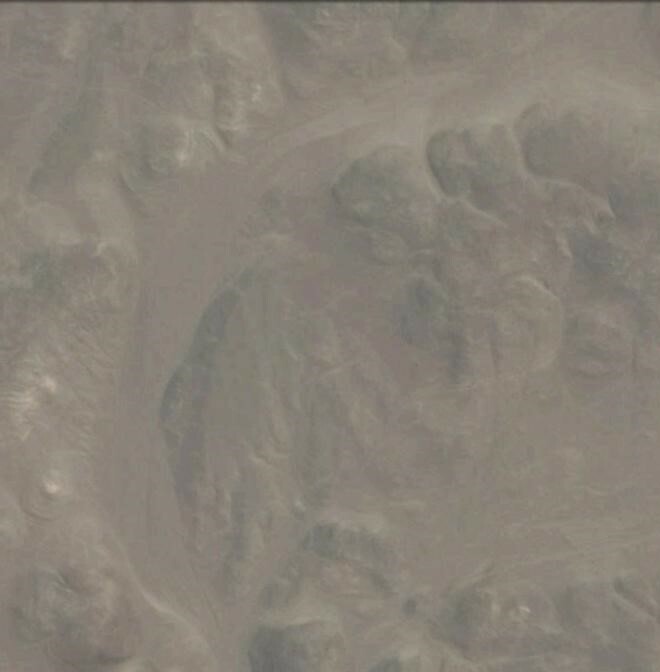 I found a site on Google Earth. Can you confirm it or excavate it? Due to the sensitive nature of archaeology, we are unable to confirm or speculate on any potential sites. It is best for you to turn this information over to appropriate authorities, so that if it is a site, it can be protected. I need satellite imagery for a project. Can you help me? Satellite imagery is generally not cheap or free, but there are tons of open-source data sets, like Google Earth. That being said, if you need it, contact a commercial provider like DigitalGlobe. They may be able to assist you with this request. (Note: we are not a commercial provider.) DigitalGlobe.com. Can you make a map of all the sites that users find? We will not be creating a map for all sites, because it could fuel looting and add to site destruction. If and when the governments and protection agencies involved feel it's appropriate, they will release this data directly. I want to come on your dig, please! How can I? Most archaeological sites limit the people on a dig to those absolutely essential for the research. If you are interested in joining a dig, there are wonderful field schools out there that take students and volunteers. Check out the Archaeological Fieldwork Opportunities Bulletin at Archaeological.org. Is the GlobalXplorer° platform safe? Can looters pull information to find new sites? GlobalXplorer° is designed to find and protect sites — so keeping site location data safe is our highest priority. No map tiles or images will be linked to coordinates or other data that would expose the location of a site — all tiles are assigned a random catalogue ID. 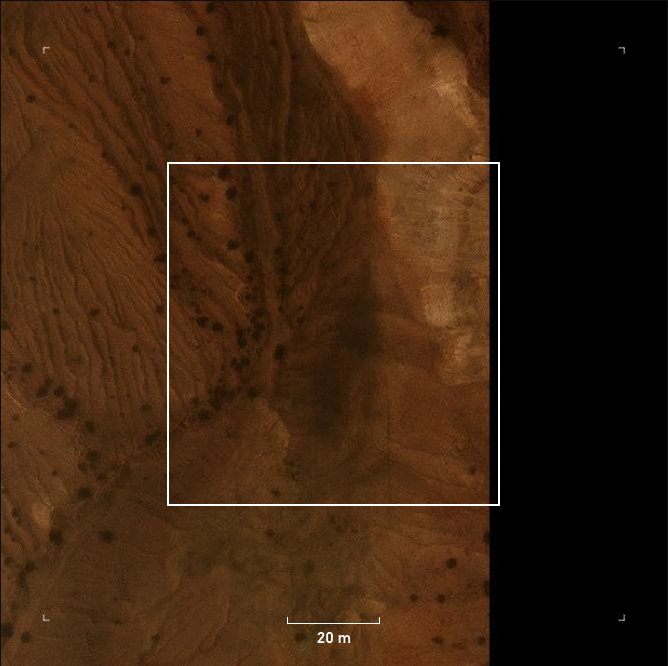 While it is possible that someone could spot something in a tile and try to locate it using Google Earth, they could spend months looking for a specific house or curve of a mountain that they see in a tile. By then, our mapping will be done and a site preservation plan will be in place from Peru’s Ministry of Culture.